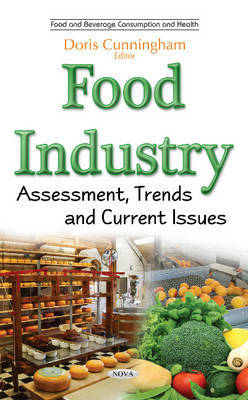 This book provides an assessment of the food industry. It discusses trends and current issues. Chapter One gives an overview of the main microbial enzymes in the food industry. Chapter Two focuses on trends and challenges for the hygiene of conveyor belts in food production. Chapter Three identifies energy-saving opportunities (technological, organisational or behavioural) and describes tailored energy-saving measures in the food and drink industry. Chapter Four evaluates and compares the efficiency of winemaking in two developing countries (Ukraine and Bosnia and Herzegovina) from the perspective of their development. Chapter Five makes a comparison between Denominations of Origins (DO) in Castilla y Leon in a determined period of time of economical crisis of the wine industry.